Brunsell’s single point-of-purchase component system benefits both builders and homeowners alike. Builders can use our system to better manage their custom home business by controlling costs—with guaranteed pricing, quicker payment schedules, reduced overhead, and smoother production flow. Virtual elimination of job site theft. Homeowners benefit through the possibility of spending less money on construction financing; experiencing a positive move-in date; having a drier and cleaner home during rough in; and gaining peace of mind knowing their home is a closely checked engineered structure. 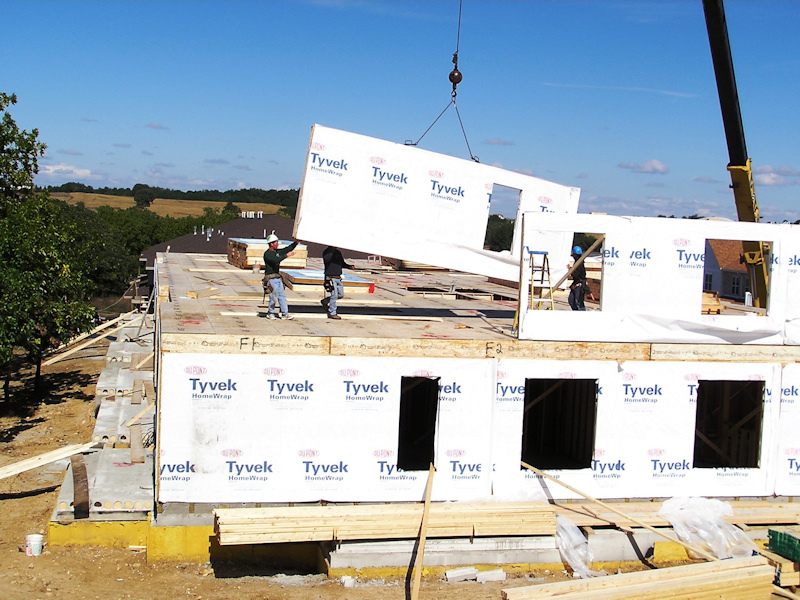 Read on to learn more about the benefits of the Brunsell Building System. In addition, builders can expand their business and spend more time with family or hobbies. Time is money. Time is also opportunity. Boost your productivity and dominate the bottom line, incorporating our building system into your construction plans. Build more projects with less field-carpentry labor and less expediter time. For environmentally conscious consumers and business owners, less waste saves you money plus contributes to a cleaner and safer job site. All floors and walls are not created equal. Field-construction quality may vary extremely from one crew to another. The Brunsell Building System does away with this concern. Computer-aided construction and plant-framed components assure precision and eliminate human error, resulting in consistent high-quality framing. For more information or answers to questions regarding Brunsell Building System benefits, simply call us at (608) 437-7183.